On November 25th Edinburgh-based tidal energy technology developer Sustainable Marine Energy (SME) completed the installation of its game changing PLAT-I tidal energy system at Connel, near Oban in western Scotland. The operation, including tow-out, was completed in under 5 hours using Green Marine’s multicat vessel Green Isle. PLAT-I is a multiple turbine floating tidal energy platform hosting Schottel Hydro's (SHY) turbine system rated at 280kW. The power take-off system comprises four Schottel Instream Turbines (SIT) and an accessible power conversion system hosted in an on-board container. 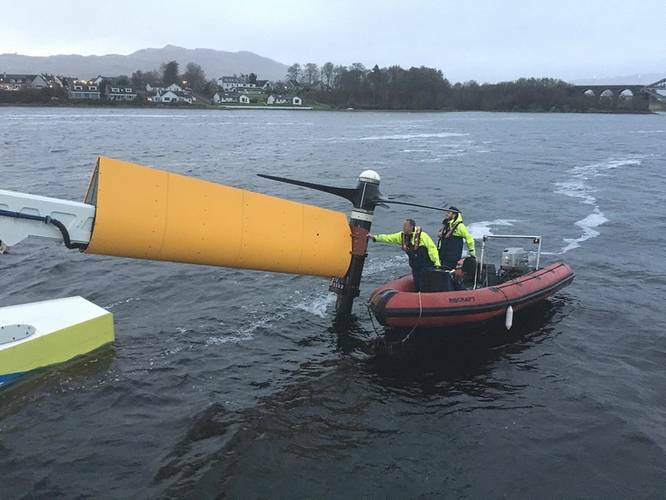 PLAT-I is designed for inshore tidal sites to provide power at a community scale and proves that tidal energy is a viable clean energy alternative for coastal and island off-takers with limited infrastructure. Within 48 hours SME and Schottel Hydro teams had completed the first phase of commissioning the system. This included first power generation and preparation for the large spring tides during the first week of December. Over the course of the subsequent spring tide the system performed well being operated autonomously through its platform control system. All four SITs reached rated power and proved their performance characteristics. The platform has demonstrated excellent stability throughout a range of tide and weather conditions. The innovative design of PLAT-I facilitates easy and low-cost transport, assembly and launching close to the intended deployment site. 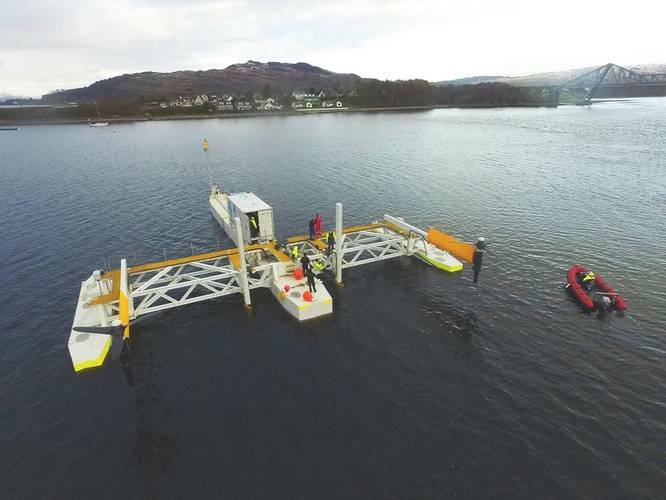 All tasks can be performed using local, readily available equipment; as an illustration of this, the system was assembled and launched at Dunstaffnage Marina over a period of four weeks using a standard mobile crane. The platform features the ability to lift the SITs out of the water, enabling easy access for ongoing maintenance and reduces the depth of water required for launching and tow-out. PLAT-I was fabricated in Scotland by JBS Group in Peterhead between July and October. SME was supported by London Marine Consultants in aspects of the detailed design of the mooring turret and connection system. 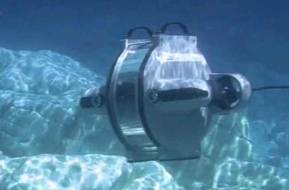 SME has received grant funding from the Scottish Government’s WATERS 3 program for the project. Following conclusion of testing at Connel in Scotland, PLAT-I will be disassembled and transported to South East Asia, where it will be delivered to Envirotek Pte Ltd for redeployment as part of a grid connected first commercial demonstrator array project in the Philippines. Envirotek is a Singapore-based clean-technology investment company with ambitions to develop clean energy projects in South East Asia. SME, Schottel Hydro and Envirotek have identified several high impact project opportunities in the region where tidal energy can displace existing diesel generation.